Anne Hathaway is looking extra gorgeous lately. After her stint at the recently concluded 2014 Oscars, where she was clad in a stunning Gucci ensemble, the 31-year-old actress was spotted looking very polished in a summer-ready white ensemble at LAX on March 5. She’s definitely jet-setting in style; her outfit included a white V-neck top, a white blazer, and a pair of white Converse sneakers. She also styled with an oversized cat-eye Dior sunglasses and carried a large Gucci tote. Anne Hathaway was undoubtedly cool and chic in white, but it was her trousers that really captured our attention. Her Piamita “Alexa” trousers are edgy and playful at the same time. 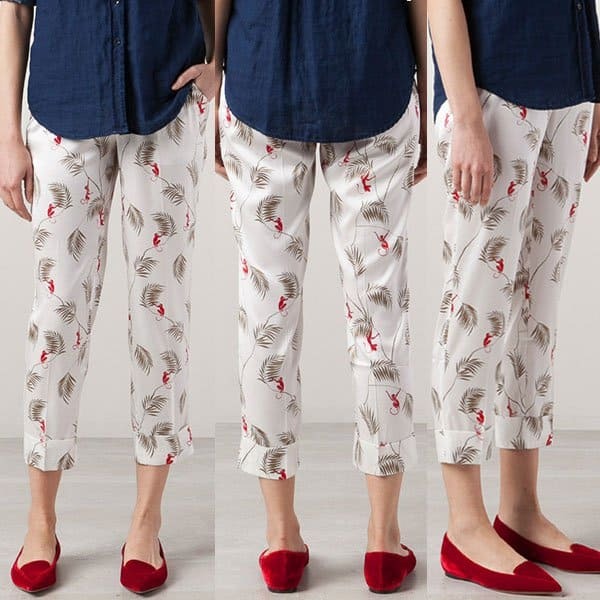 They sure look very comfy in silk blend material designed with quirky prints of monkeys and palm trees. They also have rolled-up bottoms, button and fly zip fastening, and front and rear pockets. Don’t you just love Anne Hathaway’s relaxed look? 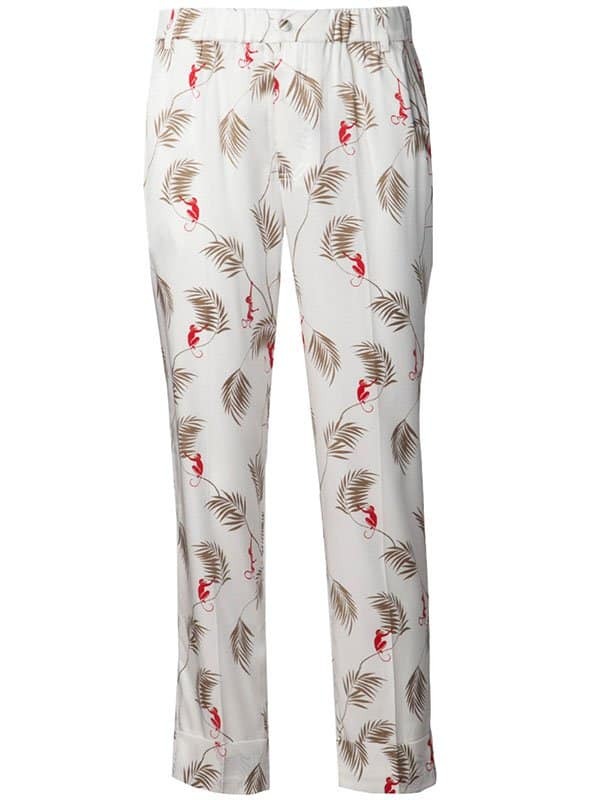 If you want to have her pajama-like pants as well, you can get them at Farfetch.